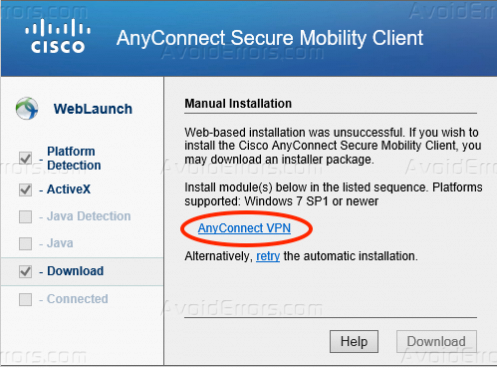 In this tutorial, you will be able to access your corporate network via remote access Cisco AnyConnect VPN provided that there is already an existing Cisco device that functions as the VPN Gateway for the Cisco Any Connect VPN. Two Factor Authentication Registration Link (ex. Duo 2FA Link) Two Factor authentication provides secured login by utilizing your mobile phone to confirm the login either by passcodes, push notifications or automated calls to authorize the login. Browse the VPN URL link in your browser. The download process will automatically start and you may get some Java or Active X prompts for web-based connections like these. Select Skip. 2. Click on “AnyConnect” so you can start the download. 3. When the download is complete click on the anyconnect setup executable file to install it. 4. 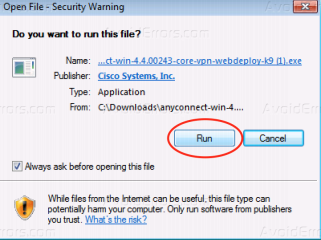 Whitelist and run the Cisco AnyConnect Installation file in order to proceed with the installation. 5. 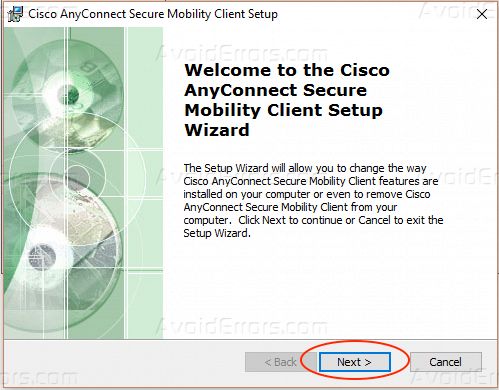 Proceed with the installation of the Cisco AnyConnect Client. The installation should only take a few minutes. 6. 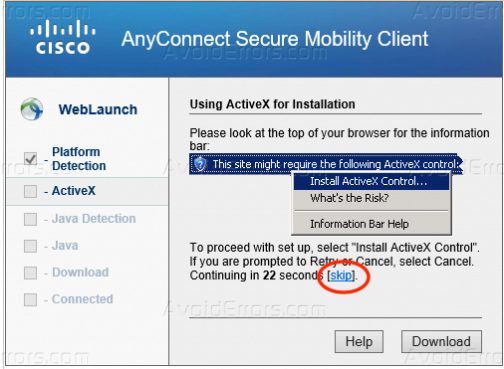 Once the Cisco AnyConnect Client is successfully installed, open the VPN Client and type the VPN URL provided to you on the text space. Once done, press Connect. 7. Enter your username and password along with the preferred Duo Action ( Used for Two Factor Authentication) and select OK. IMPORTANT: Please follow the Duo 2FA Link sent to you to proceed with Duo Registration. Option 1: Type push to get push notification sent to your mobile device and select OK. Open the Duo Mobile Application on your mobile device and authorize the access request. Option 2: Type phone to proceed with an automated phone call and select OK. Your registered mobile number will receive an automated phone call from Duo. You will hear the instructions in order to authorize the access request. Option 3: Type SMS to receive an SMS message containing the Duo passcode via text and select OK.
8. If the login is successful, you should get a notification message in the taskbar that you are now connected. 9. Open the Cisco AnyConnect Client icon (Globe with lock) through the system tray and the Cisco AnyConnect Client window will appear. Select Disconnect if you wish to terminate the VPN connection.